The PolarPro graduated filter set is a great addition to the Inspire 1 and OSMO cameras. This grad filter set is designed to help increase the camera's dynamic range and assist in correctly exposing scenes which lack perfect lighting. The filters are designed specifically for the DJI Inspire 1 camera and can easily be installed via the threaded aluminum design. Designed to work flawlessly with the Inspire 1 Gimbal, the filters weigh a mere 4.5 grams ensuring smooth operation, and less stress on the gimbal. 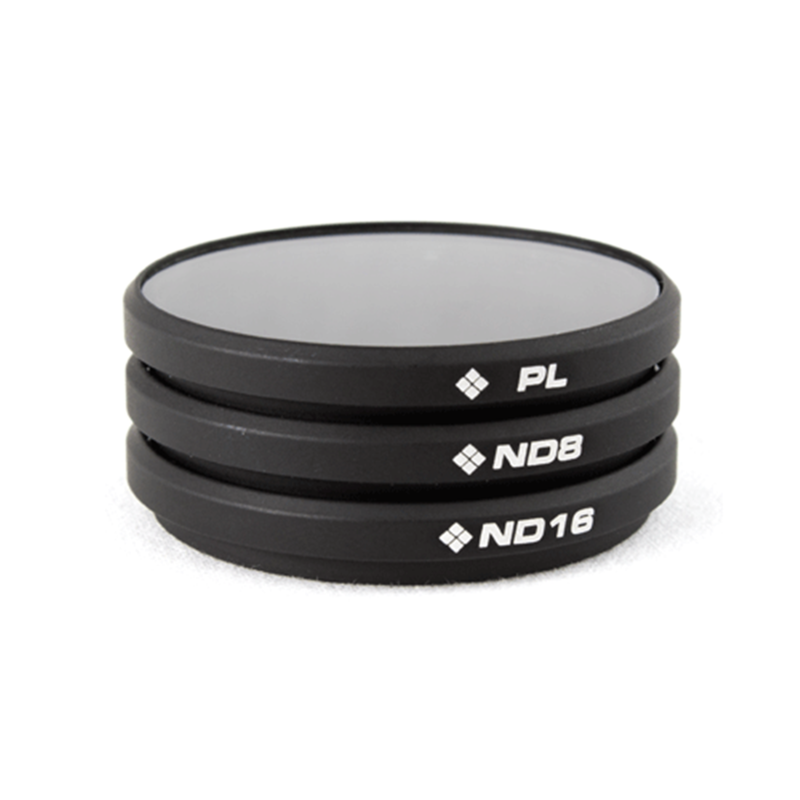 The ND8/GR reduces 3 stops of light on the top and has a soft transition to a clear on the bottom. This is the most common gradient filter and helps pilots properly expose the sky when the ground is poorly lit. This filter is designed for specific photos/videos where your horizon line is near the middle of the frame. The OR/GR provides color correction to the sky while keeping the ground the same color. Mainly used for sunrises and sunsets this filter will make the sky a much warmer color without shifting the color of the ground. The tobacco/orange color on the top is the equivalent to 1.7 f-stops and has a soft transition into a clear bottom. The blue filter intensifies the blue in the top of the frame while also reducing the shutter speed on the top by 1.3 stops. Designed to cool down the color of the sky without shifting the color of the ground. All of the included filters are intended to inspire creativity and not be limited to the above scenarios. These filters should be used as tools to express your creativity in capturing epic aerial photos and videos.